We'd be happy to help! For custom applications or to place a bulk order, contact our Customer Service Department at 1-800-203-0301. 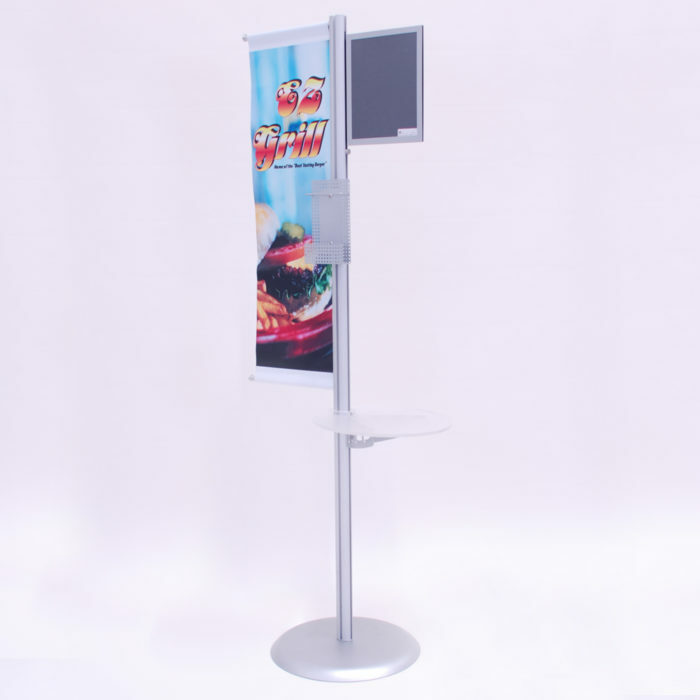 Kit price includes the following: 79" Ovations® Pole/Base, 42" x 12" Banner, 11" x 8-1/2" Insert, MagaFrame™, Trifold Holder, Round Acrylic Shelf. Powerful GripFlex® technology holds components firmly in place. Banners/graphics not included. For Custom Printing requirements, contact our Customer Service Department at 1-800-203-0301. Sorry! That combination of options is not currently available.